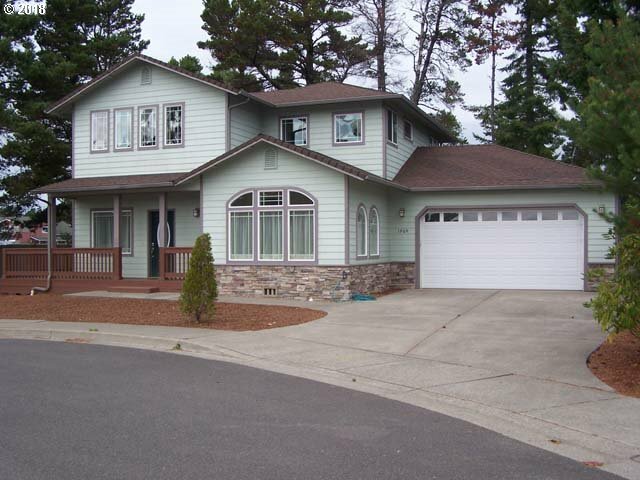 Lovely Custom 3 bedroom home with 2.5 baths, with rooms designed for multiple uses. Excellent floor plan with Master Suite downstairs AND the top floor could also serve as a Master Suite. Ultimate window package floods this home with light! Formal Dining could also be used as an office or sunroom. Wide staircase for easy lift chair use. Oversized garage, wraparound covered porch. Jetted tub in master & soaking tub upstairs! Must See!